I've always considered “home” as wherever you can toss down a pillow and open your bag. Growing up in southern New Jersey, my family vacationed and camped every summer in New England – mostly Maine, New Hampshire, and Vermont. With that came a lot of learning on how to pack efficiently; from bags to cars, boating trips, and hiking. I prided myself knowing I could (probably) pack my entire life into the back of my Jeep Cherokee and set out for … anywhere. In the summer of 2015, I did just that – packed my entire life into my Jeep Grand Cherokee and moved from Boston to the Bay Area. My business partner and I are full-time wedding and corporate event photographers. 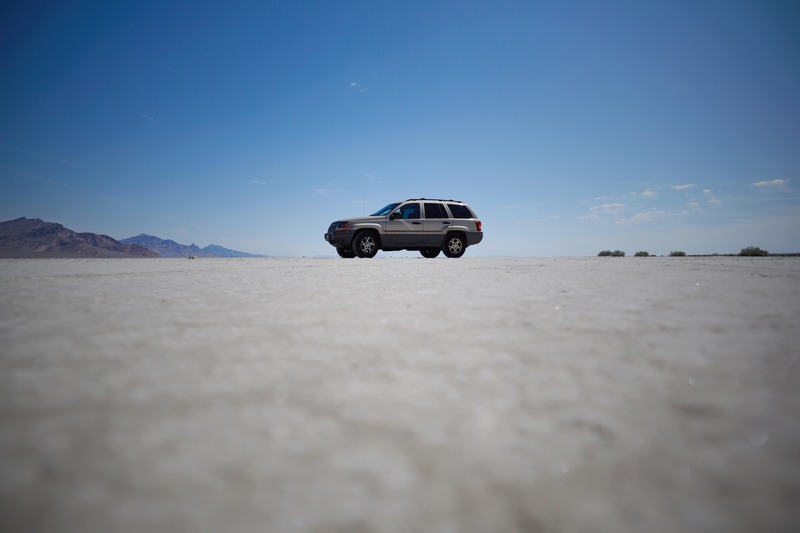 Travel by car and plane is common for work, and other various creative trips. My favorite place to travel is the next spot I haven't been to. I've gone to Hawaii twice in the last 12 months and Tokyo for the first time recently. Up next is probably Iceland, Hokkaido, Cabo, or Alaska … and I'd love to drive to Patagonia at some point. I truly have no climate preference, and enjoy hot & cold destinations equally—although I have a slight preference for warmer locations since packing light is easier. Mammut Seon Cargo Backpack: A bag that you are comfortable and confident with is essential to traveling well. 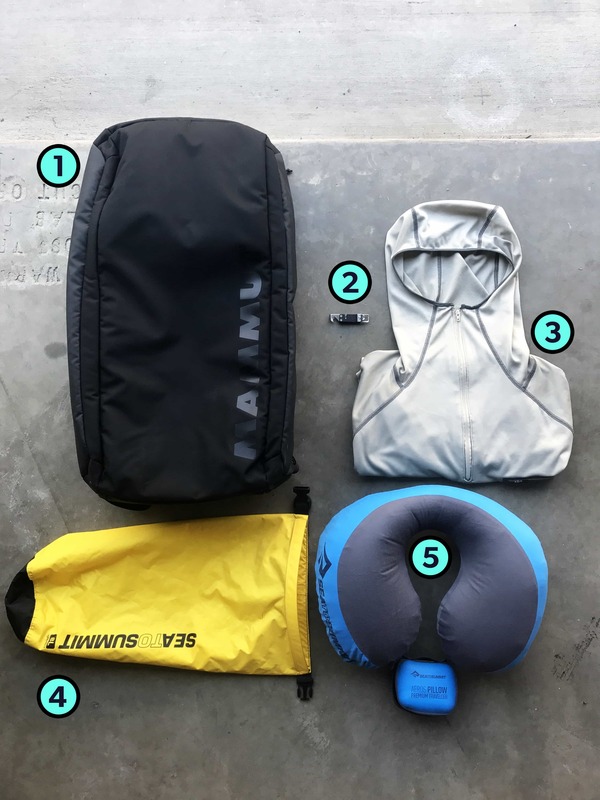 The Mammut Seon line has something for everyone, and this is one of the best travel backpacks I've found. All access to the pack is from the back, so there are no visible compartments while you wear it – which is great for moving through crowded locations where theft may be a concern – not to mention, looking slick & minimal without the extra pockets. It holds a medium size DSLR with several lenses in a small camera block at the top of the pack, which is perfect for my needs. The side pockets are good dimension for passports and boarding passes as well. It also has an internal wet bag for separating smelly gym clothes, chalk covered climbing gear, and I've found it will even hold my XL DaFin Swimfins. For daily use, extended road time, and even some light trekking; I don't see myself using another day pack anytime soon. CRKT Stokes Key Chain Sharpener: This is an EDC for me and always attached to my keys. This little guy will tackle any basic daily task that you would use a knife for, although I haven't tried taking it through airport security yet. Patagonia Men's Tropic Comfort Hoody: I own the 2016 model that I've modified with a zipper so it fits better and is a little more versatile. The UPF 50 fabric is extremely packable and breathable even in intense heat/humidity. Works great as a lightweight hoodie, or layer for colder conditions. It doesn't hurt that it looks good for hitting the bar too. Bonus: Sea to Summit Lightweight Dry Sack: If you don't own anything from sea-to-summit, you should. Their 8L bag will hold about one week of dirty clothes. I've used some of the other sizes for gear organization (charging wires, extra batteries, etc), and even as a portable lunch bag. Bonus: Sea To Summit Aeros Pillow Premium Traveller: I recently picked this up and its stupidly convenient. Much better than trying to manage a non-inflatable one when traveling through the airport. I always have a small medical kit with me, I generally re-stock it before every trip. Having small things like band-aids, bug spray, ibuprofen, and electrolyte pills can really come in handy to save you a trip to the store, or help out with a hangover. Oh, and pack sandals! Your feet will thank you. The perfect backpack – I'm not sure what that looks like exactly, but I haven't found it yet. Getting close though? I know this is unique to everyone, but it's a constant search. I don't think I truly miss anything, to be honest. Certain conveniences maybe? In-N-Out Burger? Nothing is missed enough that it cannot be adapted or substituted. Starting at age 16, I've kept a miniature stone Buddha in my Jeeps that I purchased at a Barnes & Noble store. It resonated with me at the time, becoming a fixture in my first 2 Jeeps and something that became a part of the character of my vehicles. When I got my new, current Jeep, the old Buddha was packed away. I happened upon a new stone Buddha and knew I wanted to continue the tradition. 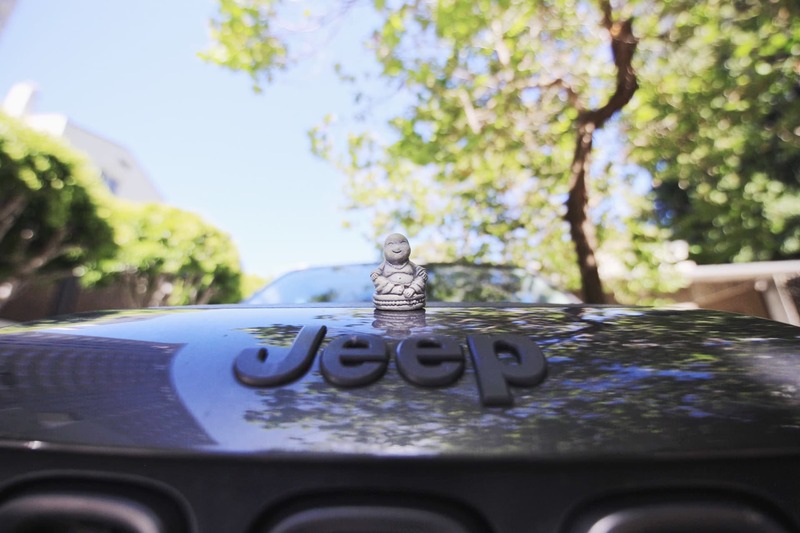 New Jeep = New Buddha. If you can pack more – you might as well. Embrace your bag obsession, options are a good thing. 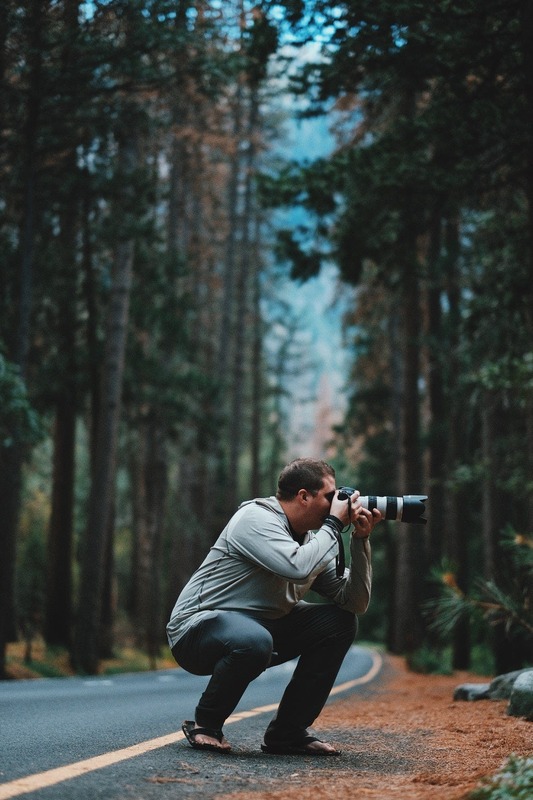 Don't overthink your camera gear – but if you don't pack it, you'll probably wish you did. It's never too late to learn how to navigate with a physical map. Talk to people, be humble and kind, you never know where your next adventure could come from. Every trip you take, do something you wouldn't do on a normal Monday-to-Friday; whether that's photographing something new or watching a sunset—get out of your old routines—that's one of the magical things travel can bring. You can keep up with Phil on his Instagram and personal website.